After the failure of Zach Snyder’s “Man of Steel” in 2013, I really did not have much hope for this movie. I was more than willing than give the movie a fair try, but the doubt of anything good being salvaged from “Man of Steel” lingered prominently in my brain. Going into this movie, I had two predictions. One was that it would probably not be very good. The second was that Ben Affleck would do a decent job as Batman. I was proven right on both. 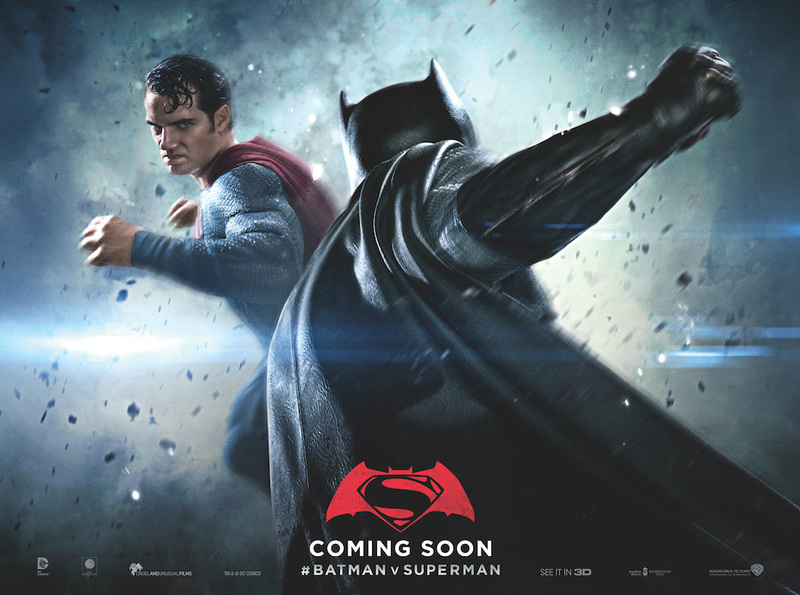 “Batman v Superman: Dawn of Justice” is the second addition to the newly forming DC cinematic universe. Taking place eighteen months after Metropolis was demolished in “Man of Steel,” the world is torn on whether Superman (Henry Cavill) is a hero or not. One of the people who believe that Superman is nothing more than a dangerous menace is Batman, who is ready to fight him to protect the planet from harm. The only strong aspect that stands out among the problems of this movie is the stuff dealing with people’s perception of Superman. Most of the characters all have their own opinions on what Superman is, which is the only interesting subplot among the whole movie. More of this plot and less of the others would have made this movie better. The most surprising part about the movie is its writing. While the story line manages to be cohesive, especially with all of the subplots it’s juggling, character stupidity and coincidences propel it forward. The movie honestly wouldn’t be able to begin without a Superman being framed for murder in the messiest way that would make people think something else happened possible. The characters are not very interesting or route-worthy. Batman and Superman’s personal philosophies seem very interchangeable, which makes their dislike for one another to be hypocritical, and just makes them both unlikable. Wonder Woman (Gal Gadot) is forced into the movie, but she gets no introduction of who she is. Lois Lane (Amy Adams) has no personality. Lex Luthor (Jesse Eisenberg) is just a corny bad guy. To go along with boring and poorly written characters, the actors were not very good, either. Henry Cavill has no charisma and causes the character to come off as unlikable. Amy Adams is good in the emotional moments, but not much else. Jesse Eisenberg is making the character so comical that you can take Adam West dancing around in his Batman outfit in the 1960’s TV show more seriously. Even with all of that, the tone of the movie is still the biggest problem. It is going for a darker, more realistic feel a la Christopher Nolan’s Batman trilogy, but that does not work here. Batman is a dark and brooding character, but Superman is not, nor can he be believed as realistic. The same goes for Wonder Woman and all of the other super hero beings in the movie. Their non-realistic powers does not mix with the dark, gritty, and realistic tone the movie, and much more, the cinematic universe is trying to set up. The movie is nothing but a big, loud, and boring experience. Everything about the movie makes you feel melancholy. Melancholy about how lacking in joy and excitement the movie is. Melancholy about how stupid the moviemakers think the audience is to fall for what they do at the end of the movie. Melancholy that DC is only two movies into their cinematic universe and they only have garbage to show for it. Melancholy that if the past two movies are any indication of the universe, we have no interesting characters to get attached or look forward to.